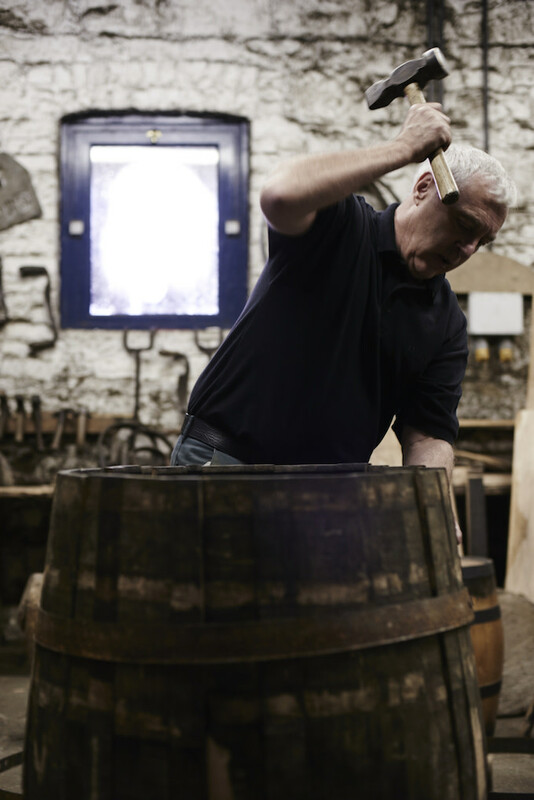 Last month, we joined Jameson Irish Whiskey in Ireland to watch some masters at work. We visited craftspeople whose painstaking method of making by hand has been formed over generations. For some, they&apos;re the last in the land to keep these traditions alive. These are their stories. 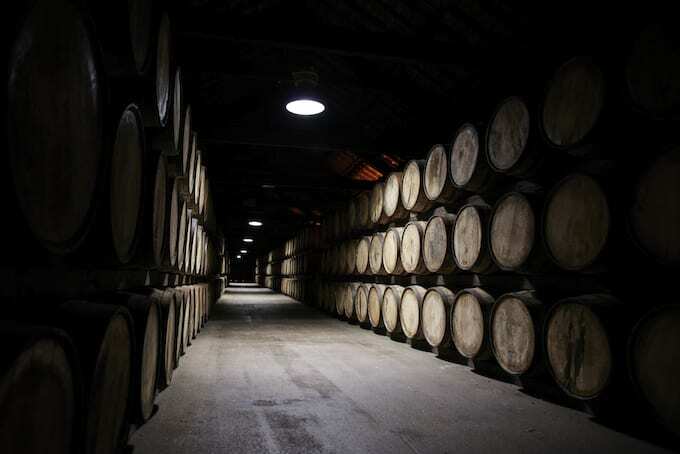 A few of the old buildings around Jameson’s Midleton brewery are there for the visitors, there for the tourists who want to walk around some pretty barrels as a good excuse to drink a bit too much whiskey. Ger’s workshop is not one of those buildings. 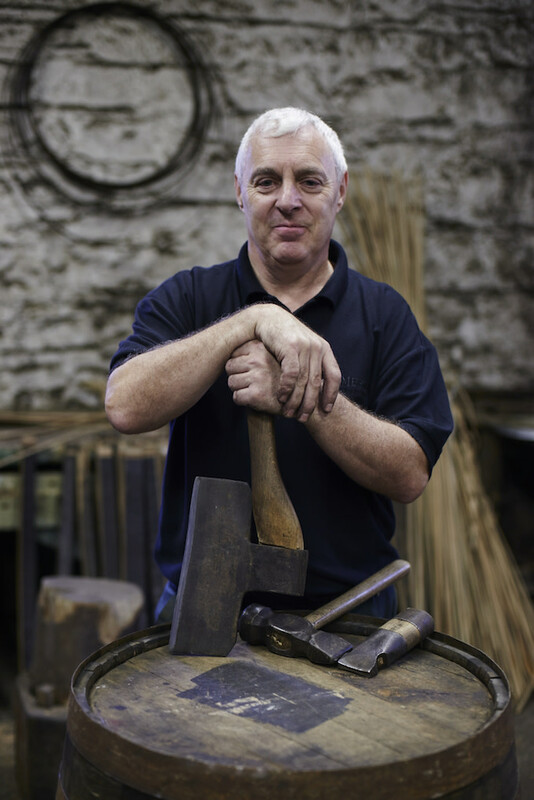 Ger’s workshop is covered in tools— some he’s built himself, some have been handed down to him from family and friends. The hammer handles have been worn down so much by the decades that they are grooved with the shape of a hand. Decades might not even be right; Ger is a fifth generation cooper (he’s almost proved he’s sixth), so it could even be centuries. Though, the work Ger does is older than that by far. 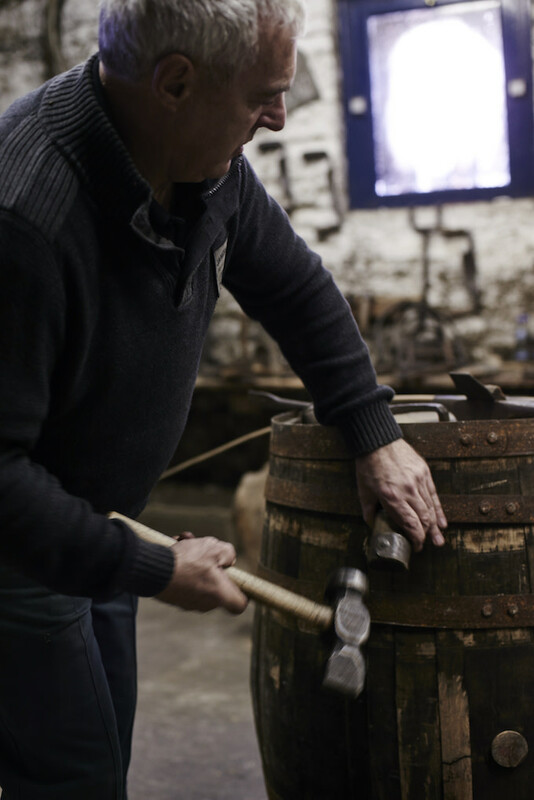 A cooper, for the uninitiated, is a barrel maker—they make barrels that house your maturing whiskeys and wines—and Ger is Jameson&apos;s treasured cooper. Ger stresses how ancient his work really is. Coopering, he says, has barely changed since Roman times, the only real difference being that steel rings now hold the barrels together instead of wooden ones. The tools are all the same (albeit with tougher metals heading them) and the techniques are unchanged. They’ve pulled ancient casks out of peat bogs that were made in exactly the same way Ger still works. Although there isn’t as much demand around Ireland these days. 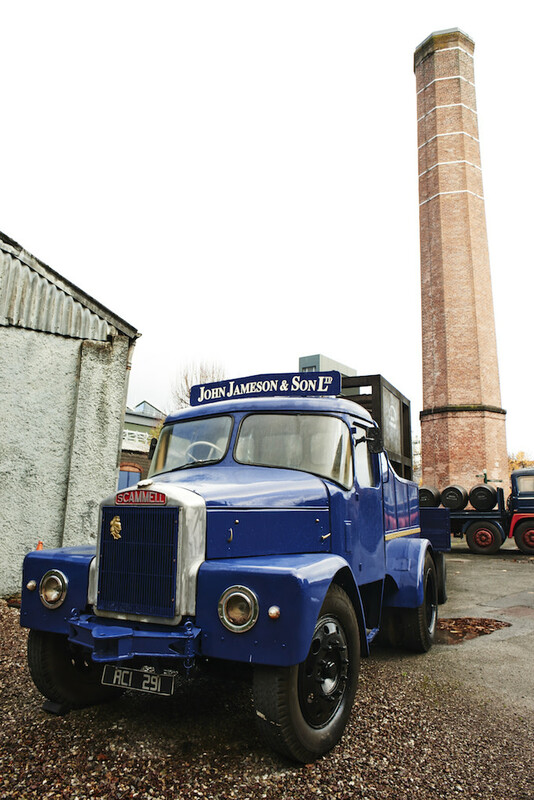 Where once the country held over 10,000 coopers, that number is now down to four—two of which are in Midleton with Jameson, and one of those is Ger. 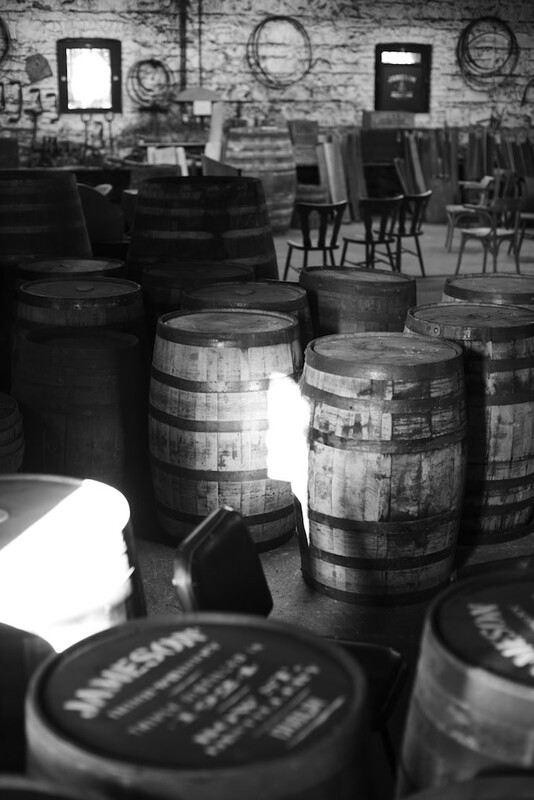 In the early 20th century, the American coopers union helped get a law passed saying Bourbon barrels could only be used once; most are now used and then exported to places like Scotland and Ireland where the barrels are reused to age whiskey. 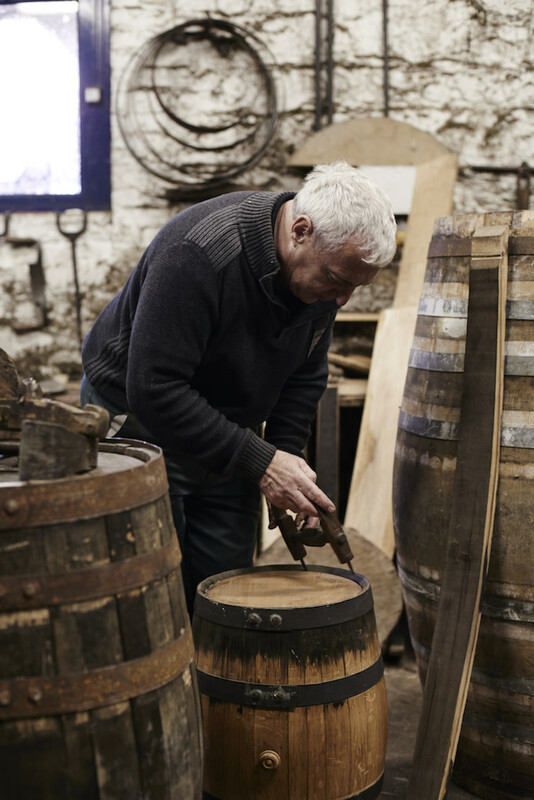 It’s not often Ger gets asked to make new barrels—most of his job is fixing old ones—but he’s aware of every detail, from the incline in a cut to the part of the tree that will hold the barrel together longer. 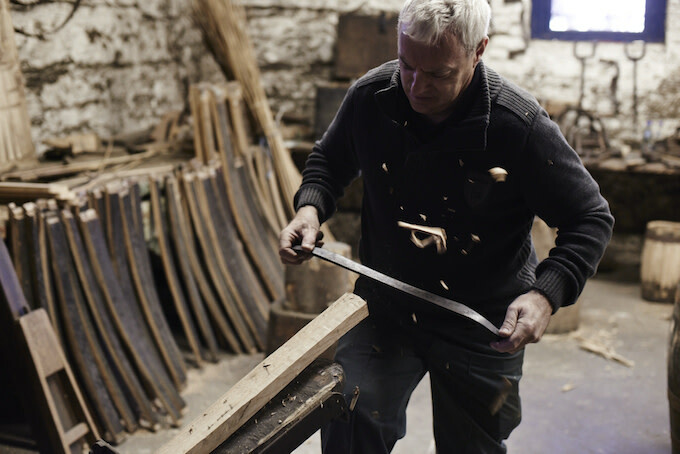 With craftspeople like Ger and others keeping their crafts alive and companies like Jameson looking to support them, there’s hope that coopering won’t die out in Ireland. In England there’s just one master-cooper left and there’s no one left to take his place. In Ireland Ger has taken on a new apprentice—though we don’t get a chance to meet him (he’s off in America learning what they have to teach). After all, to get to a level like Ger’s isn’t quick, and the new apprentice has a good few years of training left.